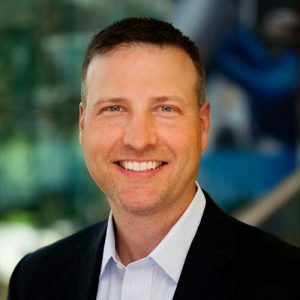 As Senior Vice President, Global Connected Operations Sales, Mr. Dietrich is responsible for driving the adoption of the ThingWorx platform including Analytics and Augmented Reality along with specific manufacturing based applications and solutions into manufacturing companies. Mr. Dietrich manages a team of direct sales, technical sales and partners to drive operational efficiencies within the four walls of manufacturing sites and the extended enterprise. Mr. Dietrich also manages all go to market activities for the Kepware business within PTC. Prior to this role, Mr. Dietrich led global IoT Sales for ThingWorx direct and indirect sales along with overall business development in conjunction with the PTC sales force. Prior to ThingWorx for the previous 7 years, Mr. Dietrich was the Vice President of the Operations Execution Business within Invensys Software, where he acted as the P&L leader for this business area including end to end management of product roadmap, product development, sales, marketing, delivery and support for the Wonderware MES & Workflow products. Mr. Dietrich came into Invensys via the acquisition of CIMNET in 2007, where during his 8 year tenure at CIMNET, he had various management positions with his last role being the Chief Operations Officer and Vice President of Sales for the company. He led all MES sales and marketing activities for CIMNET and worked closely with global key accounts. In total, Mr. Dietrich has spent the last 19 years selling manufacturing automation, MES and asset management solutions to global leading manufacturing companies. Prior to his employment with CIMNET, Mr. Dietrich worked for Merck & Co. in its Manufacturing Division for approximately 4 years and at Scott Specialty Gases as a process engineer. He held positions within manufacturing operations, new product introduction and strategic outsourcing. Mr. Dietrich holds a B.S. in Chemical Engineering and a Masters in Business Administration (MBA) from Lehigh University. He has been an active member of MESA International since 1999 and served on the Board of Directors from 2007-2009.